On a recent trip to Portland with my friends, we stumbled into a hat shop called Goorin Bros. They had walls full of hats. It was so much fun to look at all of them and try them on. I had absolutely no intentions of purchasing a hat, but after trying this one on, I couldn’t resist! If you are in the Portland, OR area, you should definitely check it out! Next Post School’s out Forever! I live in the United States in the beautiful Pacific Northwest with my husband and our schnauzer-mix, Sophia. I've been stamping since I was a young girl, and demonstrating Stampin' Up!®️ on and off since 2007. My focus is growing my small community with a one-on-one approach to show you the wonderful world of papercrafting. I'd love to be your creative coach or team leader! How can I help you? All content on my site is either CASE’d with credit to the original creator or my own original creation. You are more than welcome to CASE my projects, but please make sure to give credit where credit is due. 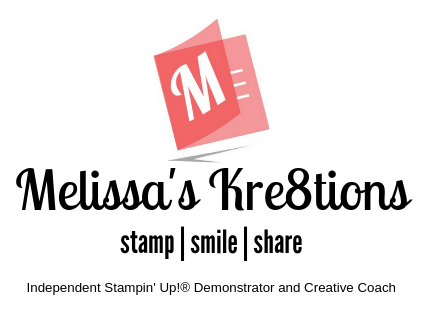 I am an Independent Stampin’ Up!®️ Demonstrator, and I am responsible for the content on this website. Stampin’ Up!®️ does not endorse the use of or contents of the services I may offer on my site. All content on this site is the property of Melissa’s Kre8tions unless otherwise noted.